BMC PATROL monitors and corrects common problems. For years, IT pros have solved problems by throwing up more servers. Do this long enough, and the sheer number of servers becomes the real problem. Windows shops can ease this burden with server monitoring and management software. PATROL, from BMC, is one of the heavy hitters in this space. Its offering for Windows environments includes recovery options, a log management tool, and an easy-to-use reporting feature. Its management features distinguish PATROL from many other server monitoring suites. 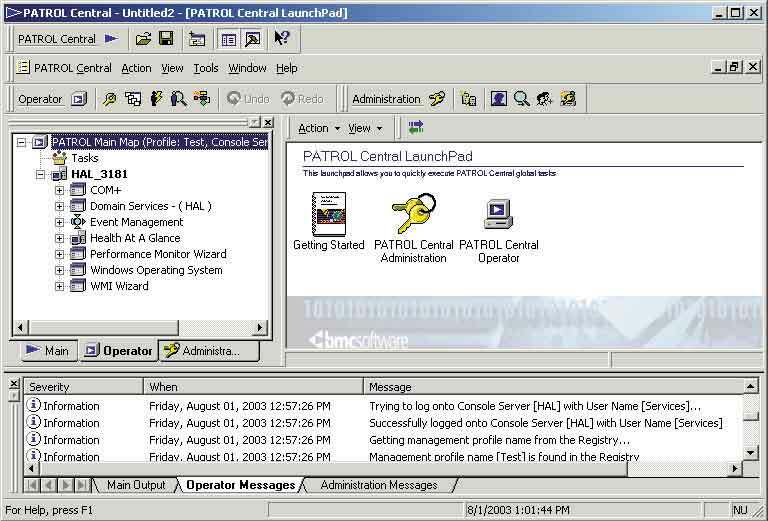 For example, PATROL can be configured to automatically restart services or applications if they fail, terminate runaway processes when CPU utilization exceeds defined thresholds, monitor Registry changes, or clear out the temp directory. It can also increase available DFS or share connections when utilization is high, or initiate WINS scavenging when replication fails. Having juggled lots of text file logs in my day, I especially like the ability to monitor, filter, back up and clear text log files (not just Event Viewer logs). PATROL offers many management options like these out of the box, but custom scripts can be created if you don’t find one that already does what you want. PATROL is robust, works as advertised, and can be customized to handle a range of monitoring and management jobs. But this tool isn’t for the faint of heart. It has a substantial learning curve, and shouldn’t be rolled out in a production environment without extensive staff training. PATROL has three main components: The Central Console (bought separately), Knowledge Modules (KMs), and the Agent. The Central Console is the graphical interface through which servers are managed. KMs are collections of data instructions that allow you to monitor applications or operating systems. The Agent is installed on monitored servers, and collects data according to the instructions in the KMs. The reporting function is strong. You can get many predefined reports by double-clicking text files within the Console or open them in Excel through a spreadsheet template that’s automatically installed. Predefined reports include CPU utilization, DHCP lease availability, and DNS response time, among others. PATROL often seems more complicated than it needs to be. While the reporting function works simply and well—not always the case with server monitoring software—that level of design doesn’t carry through the entire product. BMC would do well to focus the next update on ease of use. For instance, the PATROL Agent and PATROL for Windows Servers must be installed locally on every monitored server, though it includes an image creation facility to simplify multiple installations. To get e-mail or pager notifications, you must install and configure a command-line mail utility. The documentation cites BLAT (a free, downloadable, public domain mail utility), and instructions assume you’ll use BLAT. Why not include a BMC mail utility, and let users set it up with a standard dialogue box? The Console interface is also not particularly intuitive. Several times I came across interesting features and had a tough time finding them when I came back for a second look. Once I toyed with the feature a few times, I could bring it up easily, but a smoother design would flatten the learning curve. PATROL is a solid, substantial product. I couldn’t get it to break or behave inconsistently. It never failed to set off alarms when I triggered alert conditions and always took whatever corrective action I specified. 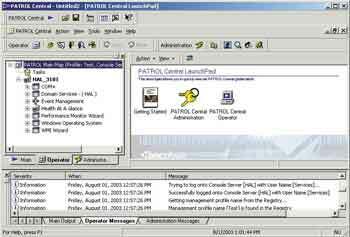 PATROL is more comprehensive than most monitoring tools I’ve seen, especially in support of COM+ applications. If you can come to grips with the learning curve and take the time to configure the product properly, PATROL will absolutely boost the efficiency and availability of your network. If you run a small shop and need to install and learn a monitoring tool quickly, consider a different product. Those that can dedicate a person (or people) full-time to server monitoring and optimization should consider PATROL for Windows.